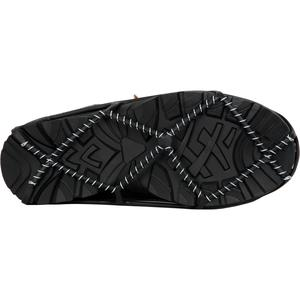 Whether you're snowshoeing, shoveling or skiing, your feet will welcome the warmth of convenient Adhesive Toe Warmers that stick to the outside of your socks. 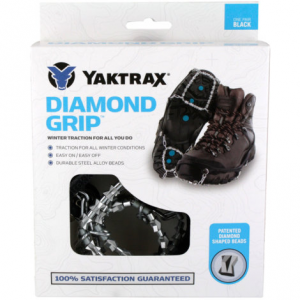 The ICEtrekkers Diamond Grip traction system easily attaches to a variety of footwear for enhanced, aggressive traction on winter outings, hikes and snow shoveling adventures. 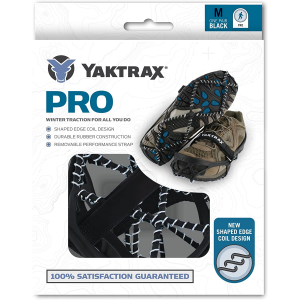 Regain your confidence when walking on packed snow and ice with the updated, simple-to-use Yaktrax Pro traction system. 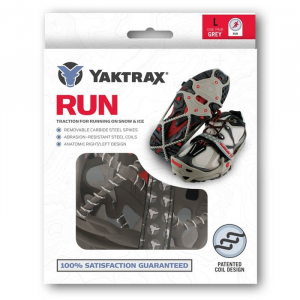 A pair of heavy-duty traction devices for your hiking shoes or boots, the Yaktrax Summit lends confidence on winter hikes and icy backcountry excursions. Patented Boa(R) closures customize the fit. 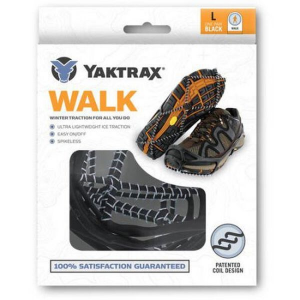 Add grip to almost any shoes with the Yaktrax Walkers traction system, an easy-to-use accessory with an updated design for greater durability and comfort.